Begin by washing asparagus and cutting off the woody bases (if your not sure where to cut them, starting at the base and working toward the tip, bend the spear several times until you find a place where it breaks easily, cut there. Usually about 2 inches up from the base). Place asparagus in a single layer across the bottom of a frying pan. Pour just enough water over the top to cover the asparagus. Cook on high heat until water has boiled off and the asparagus in tender (but not mushy). 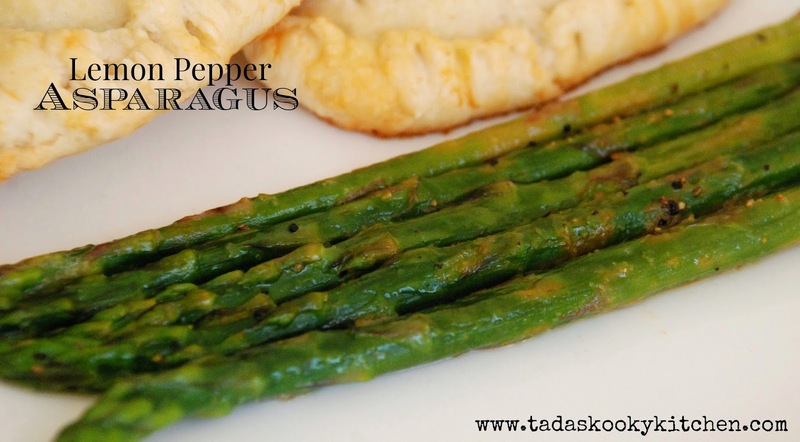 Turn heat to medium, melt butter over the asparagus and sprinkle with lemon-pepper. Serve along with your favorite main dish. We are experimenting with vegetables at our house. We are trying new things since our old favorites are usually green beans, corn, or a green salad. This was a nice change for us and definitely something we will eat more often.